SEO stands for search engine optimization and is very important in making your site more attractive and reliable for the search engines so that it can appear higher in search results. Global settings section will let you edit default values for all the script modules that have no SEO settings of their own (and that are missing in section 2 ‘Module settings’). Title. Title stands for the information that is displayed on top of the browser window. It can be page name or name of the menu item etc. Keywords (meta tag). Insert the words and short phrases here that best describe the contents of the page/website. Description (meta tag). This field contains short description of the page. This is the information that can be displayed in search results page of a search engine. It is possible to edit metadata in all available site languages. Open Graph protocol lets you determine certain parameters for your website pages that can be used by social networks, Facebook in particular. You will be able to manage the way your site page is shown in the news feed any time someone ‘likes’ or ‘shares’ the page. og:title – object title as shown in the network, e.g. og:type – the type of your object (article, website, book, profile, etc.). For more details check the documentation. og:description – one or two sentences that describe your object. By default Facebook collects the information from Description (meta tag). Recommended length: max 150 symbols, e.g. Some of the parameters are collected automatically, for example image or site URL. 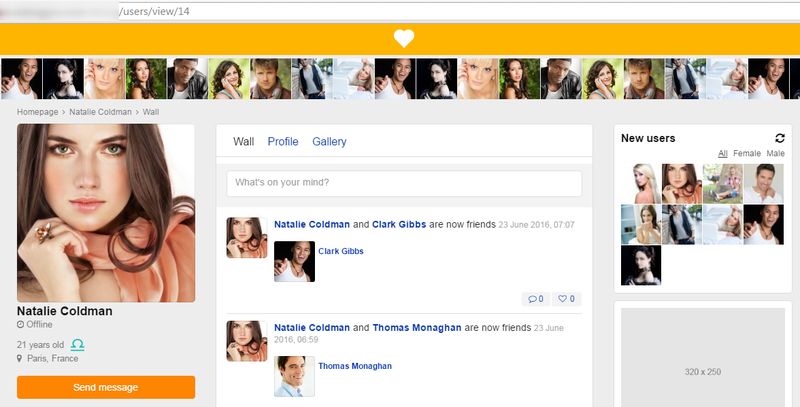 In the admin panel of Dating Pro you can indicate og:title, og:type, og:description. Multiple languages are supported here as well. For example, http://site.com/en/index.php. It makes sense to place language code in URLs if you want different language versions of your site to have separate links. Additionally, you can elect to not index language versions separately. If you activate this setting, all language versions of a page will be considered duplicate pages. It means that the search engine crawler will regard the content on all pages versions as identical and will only index the page in the main site language. The above information refers to the admin mode entirely; however there are extra settings that can be adjusted further for the user mode. Please see below. 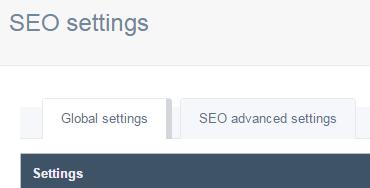 ‘Module settings’ section gives an opportunity to edit SEO settings for each particular module that is available in the drop-down menu. Whether a module is available here, depends upon its importance. We try to include all relevant modules into the list. This is how it works: select a module in the drop-down menu. Let us take users management for example (/admin/seo/listing/users) >> users view link (/admin/seo/edit/users/view). 1. Section where the editable URL parts are displayed. 2. Section where you can add new text blocks. 3. Section where you can add optional, dynamic parameters. After you have added a text block or a dynamic block into the URL, you can edit them by clicking on them. For some variables you can add default values by typing them after the logical slash, for example [id|1]. For other variables no default values are required because they can be omitted from the URL ([section-code]). In the case with user ID, if no value is processed by the script – when for some reason a user ID is missing or not available (user with said ID has been deleted from the site) – you will be taken to the profile page of user with ID=1. In other words, default value is used automatically to fill in the space when a necessary parameter is missing from the URL. When a site user with ID=15 fails to indicate country in his/her profile, the following parameters will be processed by the script: id=15 and country=””. The generated link will look like this: http://site.com/users/view/15/country-not-indicated. 1. Every URL should start with the text part. 2. Text parts should not repeat the names of existing modules (for example /users/, /mailbox) to avoid possible links disruption for other modules. 3. Dynamic blocks should take turns with text blocks in order to avoid confusion and appearance of broken links. Some URLs do not need any dynamic parameters, example: http://site.com/users/account. This URL can only refer to the account page of every authorized site member. In order to change this link you simply type some text to replace /users/account. Some URLs require dynamic parameters, for example user profile page that we have discussed above. The link editor will contain pre-set options that you only need to click to edit and indicate the default value if prompted. Select one of the options from the list, add the default value (or leave it empty) and click ‘Add’. When you click on the block area, it switches to the edit mode. You can edit the fields and save ( ), delete ( ), or cancel ( ) the changes in case a block cannot be deleted. Some blocks can change their position in the URL. They are marked with dashed line and you can drag-and-drop them around (with reasonable restrictions, see Tips above). Blocks that cannot change their position are marked orange. Usually these are the first and the last blocks in the editable part of the URL. – Title. Title stands for the information that is displayed on top of the browser window. It can be page name or name of the menu item etc. – Keywords (meta tag). Insert the words and short phrases here that best describe the contents of the page/website. – Description (meta tag). This field contains short description of the page. This is the information that can be displayed in search results page of a search engine. Every link has its own set of variables, generated by the module. Multiple languages are supported here as well. In case a variable value is not provided, the default value is used [nickname|By default]. You can leave the default value empty as well. H1 tag marks the main header of a web page. It is an important information that helps rank your site pages in the search results. Be sure to include relevant keywords into the header. Multiple languages are supported. You can also use the page variables (available templates) in the H1 tag field. No index setting stands for closing the page from being indexed by search engines. Tags noindex and nofollow will be added to the page. The same can be done using robots.txt file (see below for more info). You can use page variables in og:title, og:type and og:description too. 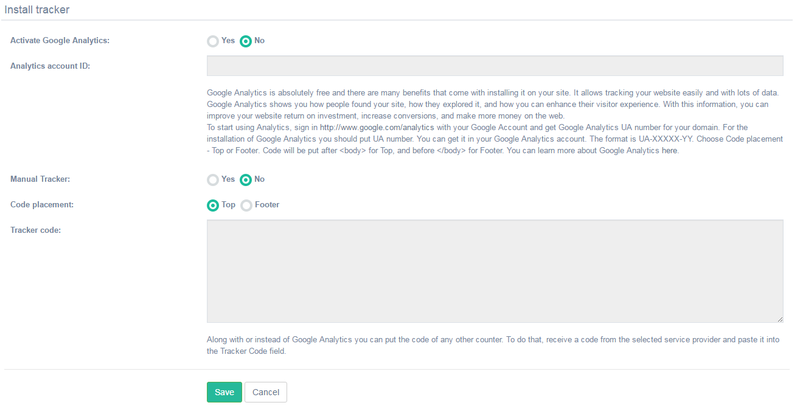 If you use Google Analytics, indicate your account ID. You can also use tracking codes from other providers. All the changes will apply to the file in the root folder of your site. For more details check http://www.robotstxt.org/robotstxt.html . Generating an XML site map may take some time. The contents will be saved in the file sitemap.xml in the root folder of your site. The purpose of sitemap.xml is to help search engine crawlers learn about your site pages, their importance and update frequency. Please keep in mind however that it is more of a prompt and not a command for the search engines. Note that if you already have one such file, it will be rewritten after the new generation process. If your site contains over 50,000 pages, the site map will be split into several files: sitemap.xml, sitemap2.xml, and so on. In this case a sitemap_index.xml file will be necessary. The system will generate this file automatically and place it into the root folder of your site. When you submit your site to search engines, indicate the path to the sitemap_index.xml file. For more details check sitemaps.org.